Igor Afanasyev is the Director of Localization at Evernote, a popular productivity app designed for creating, organizing and sharing notes and task lists. Founded in 2008 and headquartered in Redwood City, California, Evernote is now being used by 225 million people around the world, in over 25 languages, every day. With a background in UI design, Igor has been on the Evernote team from the very beginning. He bootstrapped the internationalization (i18n) and localization (l10n) infrastructure from the ground up, managed the development of Evernote‘s online translation platform, and successfully built a lean localization process that has proven to be agile as well as cost-efficient. In the past few years, Igor has shared Evernote‘s unique vision of the localization process and its tools at events such as LocWorld conference and Silicon Valley’s International Multilingual User Group (IMUG) forum, as well as through various webinars. 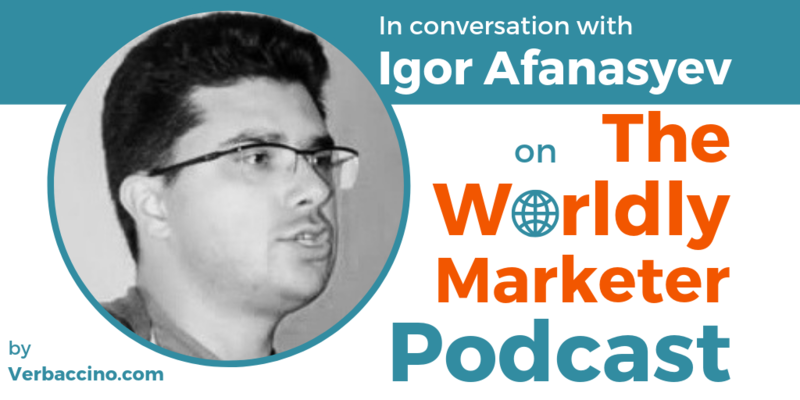 On this episode, Igor talks about Evernote’s rather unusual yet very successful path to going global, and he shares some valuable advice for other tech startups looking to serve an international user base.